Authors, when asked regarding the most difficult part of writing their novel(s), often mention that thinking of the right manner to start the story takes longer hours than concluding it. Though you may have a different profession, you can perhaps relate to how writers feel when you want to formulate a meaningful letter for someone special in your life, and there are so many thoughts racing in your head that you cannot decide on where to begin. Well, luck is on your side now because Macy’s is giving away sets of note cards with envelopes as GWPs. The Star. The five-point star on the gift box and the envelopes is the department store’s logo. The branding done by the company on this promo gift is subtle, but it will be very detectable to the consumers who always shop in Macy’s. The Trimmings. Lining the edges of the paper and their cases livens up the promotional note cards. This is quite a nice surprise, especially when you consider that they have not used colors other than black, gold, and white. The Details. 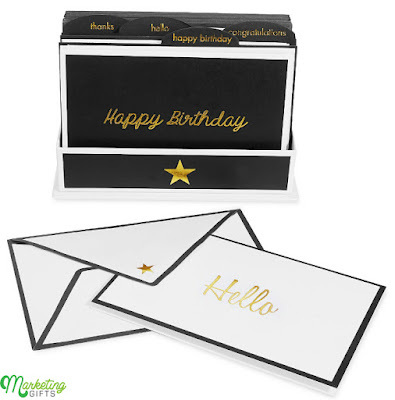 The metallic font for the short messages look inviting enough to writing something else on any part of the card. 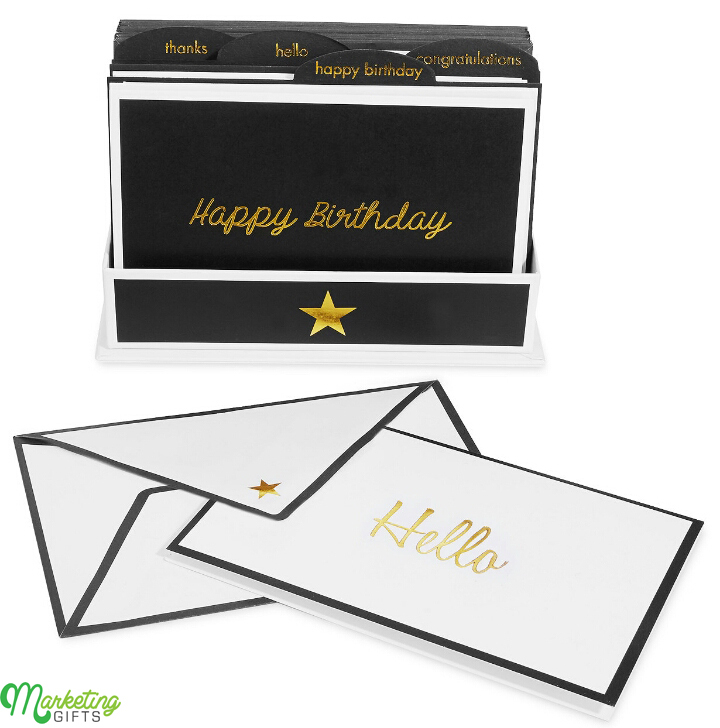 Thus, the gift with purchase can assist consumers in starting their letters. Be productive in the way you promote your business with the Marketing Gifts blog’s marketing ideas.